A study published in the Journal of the American Medical Association in 1995 found that more than 80 percent of patients treated at two of the nation’s largest public hospitals could not understand instructions written at the fourth-grade level for the preparation of gastrointestinal X-rays known as an upper GI series. A 1999 study of more than 3,200 Medicare recipients found that one in three native-born patients could not answer a question about normal blood sugar readings even after being given a paper to read that listed the correct answer. And a study of 2,500 elderly patients published last year in the Journal of General Internal Medicine reported that patients with low health literacy were twice as likely to die during a five-year period as those with adequate skills, regardless of age, race or income. The sensitization, education and training of clinicians and health care organization leaders and staff regarding health literacy issues and patient-centered communications. The development of patient-friendly navigational aids in health care facilities. The enhanced training and use of interpreters for patients. The re-design of informed consent forms and the informed consent process. The expanded adaptation and use of adult learning centers to meet patient health literacy needs. The development of patient self-management skills. Health care organization assessment of the literacy levels and language needs of the communities they serve. The design of public health interventions that are audience-centered and can be communicated in the context of the lives of the target population. The integration of the patient communication priority into emerging physician pay-for-performance programs. The provision of medical liability insurance discounts for physicians who apply patient-centered communication techniques. This issue has great relevance to employers for the implications that health literacy can have on workers compensation, general disability, and general work force wellness. Good outcomes require good communication. If you want to ensure that your workers get good medical care and return to health and to work as soon as possible, effective communication between the injured worker and the treating physician is essential. And it would appear that if the average reading comprehension is at eighth grade level, few employers are immune. The challenges for employers with a high population of unskilled workers or workers who have or no English are even greater. First and foremost, employers and managers should understand the risks inherent in their work force. Illiteracy is also an issue that with enormous implications for safety and training. Organizations with a work population that is at high risk from a health literacy perspective should also take particular care to select physicians who have cultural competence. And when a work injury occurs, there may be a need for a health care liaison to help and advocate for the injured worker. For complex cases, this might be a nurse case manager. For simple injuries, employers might assign a workers comp injury coordinator who would follow up with the injured worker frequently during the recovery process, and verify that medical instructions are understood and being followed. A translator might also be part of the care team if the worker has limited English. Missouri has been living with its tough new workers comp law for about 18 months. As with all reforms, someone had to pay the price. I think it’s safe to say that the burden of comp reform has fallen disproportionately on workers – and the worst is yet to come. Safety + Personal Protective Equipment: if an injured employee fails to use personal protective equipment, or fails to follow safety rules, compensation is reduced anywhere from 25 to 50 percent. Don’t waste your time looking for a corresponding burden on the employer to provide the needed equipment or to train employees in its use. Missouri, in the best tradition of “blame the victim,” has placed the entire burden on the employee. Oh, the employer does have to make a “reasonable effort” to have employees follow the safety rules. I suppose a safety poster will do the trick. Timely reporting: Employees now have just 30 days to report an injury. After that, the burden of proof shifts, with the system leaning toward denial of any late-reported claim. (By way of comparison, states usually allow one or two years to report a claim.) The short track might be reasonable for traumatic injuries, but becomes problemmatic with repetitive motion injuries, some strains and sprains and most occupational diseases. Drugs and alcohol: The state has very tough new standards on drugs/alcohol in the workplace. If you can demonstrate that an injured employee had drugs or alcohol in his/her system, the benefits “shall” be reduced 50 per cent, even if the substances had no causal impact on the injury itself. If drugs or alcohol were the proximate cause of the injury, the claim is completely denied. Here’s the kicker: even if management, prior to the injury, was aware that the employee was impaired, the claim is still denied. This is a dangerous precedent, seeming to encourage managers to abrogate their responsibilities in a very risky situation. Retaliation: Most states bend over backwards to protect the employment rights of injured employees. Any termination following the filing of a comp claim usually places a high burden of proof on the employer to demonstrate that the termination was not retaliation. In Massachusetts, for example, any termination within one full year of a claim being filed is presumed to be retaliation, with the burden of proof on the employer. Not so in Missouri. If an employee who has filed a claim is subsequently terminated for “misconduct,” all TTD and TPD benefits are also terminated. Ordinary, gradual deterioration or progressive degeneration of the body caused by aging or by the normal activities of day-to-day living shall not be compensable. We have frequently blogged the implications of an aging workforce, not just for workers comp, but for human resource management in general. We know that older workers are more at risk for specific injuries – rotator cuffs being the prime example, with knees and lower backs not far behind. With this language in the statute, Missouri has opened the door to denying claims that would be acceptable in literally every other jurisdiction in America. Indeed, you could make a case that rotator cuff injuries are almost always age related. So when a 55 year old sheet rock worker blows out his shoulder, what is Missouri going to do – deny the claim based upon age? Let’s take it a little further. The statute raises the issue of “idiopathic” conditions and states that they are not compensable. Work must be the “prevailing factor” in causing both the resulting medical condition and the disability. So how will they deal with the diabetic whose foot is crushed by a forklift? Who will pay for the medically necessary amputation? If my asthma causes a severe reaction to dust in the workplace, am I on my own for treatment? Suffer a Heart attack at work? In Missouri, this will almost never be considered “work related.” In every other jurisdiction, comp requires employers (and insurers) to take people “as they are.” In Missouri, payers now apparently have an invitation to separate out work and non-work factors. I may be a sceptic, but I simply cannot see how they can do this fairly. With 15,000 “independent contractor” drivers across America, FedEx is in the midst of a huge experiment in human resources. The fundamental question, of course, is whether their decision to contract out a significant portion of their basic operations is legal. A number of states (Including California, New Jersey, Montana and Massachusetts) have ruled that the drivers are actually employees, entitled to all the benefits of employment, including workers comp. We have blogged the issue a number of times, and will continue to do so. The adverse findings have not slowed down the ubiquitous delivery company. They are appealing all the losses and are confident that their strategy is both legal and appropriate. It’s certainly no secret. They stipulate the nature of the relationship with drivers up front and in writing. Only time will tell if they will prevail. Despite their chain of losses in a number of state courts, it appears that they can operate comfortably in at least one jurisdiction. In April 2002 Edward Maskowsky began operating a FedEx pick up and delivery service in Connecticut. In an hour-long orientation meeting, the company made it very clear that he was to function as an “independent contractor.” To set up the business, he purchased a truck, insurance, uniforms and his own disability policy. He filed taxes as a sole proprietor in 2002 through 2004. Maskowsky suffered a lumbar spine injury in April 2005. He collected weekly indemnity benefits from his disability carrier, which also paid some of his medical expenses. We can safely assume that the benefits under the disability policy were substantially less than those under workers comp. No disability insurance can match the zero co-pays and zero deductibles of workers comp. Seeking better benefits, Maskowsky filed a workers comp claim, alleging he was an employee of FedEx. In his claim, he stated that FedEx controlled the means and methods of how he conducted his delivery service within the specified route. Maskowsky’s attorney did not have to dig deep to find a rationale for the claim. There are entire websites devoted to proving that FedEx drivers are really employees of the company. George Waldron, a Commissioner in Connnecticut’s workers comp bureau, found in favor of FedEx. You can find his terse ruling here. We might be tempted to conclude that the commissioner buys the FedEx theory of employment, hook, line and sinker. I’m not so sure. Maskowsky’s claim was undermined by a rather startling fact: during the period he worked for FedEx, he engaged in workers comp fraud. It is a very, very bad idea to seek coverage under the comp umbrella, while declining to provide this same coverage for your own employee! Waldron hoists Maskowsky on his own petard. As for other FedEx drivers in Connecticut, they should assume for the moment that they are indeed independent contractors. And they better make sure that they secure coverage for any and all employees, lest they end up like Maskowsky, at risk for being charged with workers comp fraud. Yay us! One year ago this week, Health Wonk Review launched to much ballyhoo and fanfare, thanks to Joe Paduda, our fearless leader and his partner in crime, Matthew Holt. The stated purpose was to be a biweekly compendium of the best of the health policy blogs. In our first few issues, there was some scuttlebutt about the name as everyone tried to figure out whether wonk was a flattering or unflattering epithet. All in all, I’ve felt honored to find myself in such smart company, and feel we have achieved a measure of success in carving out a niche community. Whether participant or reader, please share in our virtual toast. Those feeling particularly nostalgic can take a stroll through archives. You’ve got mail – Jason Shafrin of Healthcare Economist analyzes a recent letter from 10 senators to President Bush. The letter asks President Bush to reform health care on six facets. Mental health parity – The Feds are looking to add another mental health benefits mandate. Mike Feehan at InsureBlog questions whether it’s worth the extra cost, or even worth the bother. Trimming the fat – In his post Farewell to Fatso, David Williams of Health Business Blog points us to two articles in the Boston Globe about recent cost-cutting decisions by the Tufts Health Plan to trim 10% of its staff and to restrict obesity surgeries. Wal-Mart and SEIU: Who drank the Kool-Aid? – With all the ooh-ing and aah-ing about Wal-Mart lying down with the SEIU and reaching some sort of agreement about how to make affordable health care coverage available to all, David Harlow over at HealthBlawg goes out on a limb and asks: Who drank the Kool-Aid? The off-label poster child – Joe Paduda of Managed Care Matters posts about the off-label use of Actiq, a narcotic intended to be used for cancer pain relief. Joe wonders why only about 10% of the Actiq users have cancer and why the drug has such high usage by workers comp patients. The threat of pseudoevidence-based medicine – Roy Poses of Health Care Renewal posts about a landmark article by Wally Smith in which he coined the term “pseudoevidence-based medicine,” referring to clinical practice based on evidence that was deliberately manipulated, falsified, or suppressed. Smith sees pseudoevidence-based medicine as a major threat to ethical clinical practice, and Roy is in agreement. Roy notes that the link to the article is in his post, but that if anyone has trouble accessing it could contact him. Tech alert: daylight savings time may cause hiccups – Shahid N. Shah, The Healthcare IT Guy blogs about the upcoming Daylight Savings Time (DST) change from April to March and how it might cause some important hiccups in healthcare transactions unless computer software is updated to understand the new start/stop times for DST. It’s a must-read because without upgrading to the new DST rules many medical devices, billing systems, lab systems, and clinical systems may give incorrect results or stop working in a networked environment. Promising technology advance – Tim Gee at Medical Connectivity Consulting blogs about a new application from Philips Medical Systems. Monitors provide a lot of data, but are of little value (and potentially unsafe) if the data generated is not carefully evaluated. Philips has released software that continuously evaluates patient monitor data looking to match patient data with symptoms of sepsis. Tim sees this as a ground breaking application that could result in many similar features from competitors. New media demands corporate transparency – Dmitriy Kruglyak of Trusted.MD posts about how Kaiser declined the opportunity to share a panel with critics at the Healthcare Blogging Summit, a fact which has come to the notice of the East Bay Business Times, which covered the matter and interviewed Dmitriy. By ignoring the story, Dmitriy thinks that Kaiser flunked the early test of communicating through the new media since the story won’t go away – blogs and social media have a way of making news percolate indefinitely. Case law – subcontractor exposure – Rita Schwab of MSSPNexus directs our attention to a case in Florida where a hospital was found liable for the negligence of a contracted perfusionist. The hospital argued that it should not be held liable for the acts of a subcontractor – but the courts saw things differently. Vaccine controversy – H.S. Ayoub of BioHealth Investor has been covering the controversy over the anti-HPV vaccine in Texas. In his first post, he notes the strange bedfellows of Planned Parenthood and Republican Governor Rick Perry both favoring mandatory vaccination. In his second post, he discusses how Merck was pressured to halt its lobbying for the vaccine. Pandemic preparations – here at Workers’ Comp Insider, we’ve noted that since the Avian flu outbreak in Great Britain, many U.S. public health authorities are urging employers to prepare for a potential flu pandemic. OSHA, the CDC, and the Department of Labor have all recently issued guidance for employers about pandemic planning and response. Here at Workers Comp Insider and Lynch Ryan one of the things we find most interesting is the way in which different states approach our bread and butter issue. Counting the District of Columbia, there are 51 US jurisdictions involved in workers’ compensation, each with a different law. That’s 51 opportunities to get it right, or 51 opportunities to get it wrong. Beginning in Wisconsin in 1911, with other states following thereafter, every jurisdiction started with the right thought, a basic and simple no-fault concept: employers agreed to provide medical care and wage replacement for injured workers; injured workers agreed not to sue their employers in return for the medical care and wage replacement. Along the way from then to now every jurisdiction has run into problems at one time or another. We won’t go into the many bumps in the legislative road. Let’s just say that when things got bad enough most states took on the job of repairing or rebuilding their systems as best they could. According to my actuary friend, Don Bashline, it was Herb Stein, Richard Nixon’s Chairman of the Council of Economic Advisors (and father of the currently famous Ben Stein), who said, “In economics, when things get bad enough they will change.” Well, when things get bad enough a state will prune its workers’ compensation tree. What’s going on in California right now proves the point. New York is another case altogether. New York is a state that has managed to get it very wrong, and, like Shakespeare’s lilies in Sonnet 94, its workers’ compensation system is festering. But the state now has an opportunity to take decisive legislative action to get it right – in a hurry. The election of Eliot Spitzer provides the opportunity. Depending on whom you believe, New York’s workers’ compensation costs to employers are somewhere between the sixth and tenth most expensive in the nation, and, because of some Byzantine ratemaking idiosyncrasies, this may understate the true ranking. Despite, or maybe because of, the relatively high employer costs, audit studies are now showing that anywhere from 20% to 30% of the state’s employers seriously underpay their workers’ compensation premiums. The studies estimate that this costs the system anywhere from $500 million to $1 billion annually. No claimant sails smoothly through the New York system, because New York has more frictional frustration and cost than any other state in America. There is no pay without prejudice period, so roughly half of all claims are initially denied by adjusters, even though the ultimate percentage of non-compensable claims is around 5% (How would you like to be a well-intentioned employee who suffers a legitimate work-related injury only to have your claim denied simply because that’s what’s best for the system?). Nearly every action by either employee claimant or insurer must go before a judge for a hearing. That’s more than a mind-boggling 500,000 hearings a year. So, there is an unavoidably disproportionate level of attorney involvement, and claims can drag on for months and years. Naturally, this makes the costs of running the system extraordinarily high compared to most other jurisdictions. There are many other challenges to New York’s workers’ compensation system, too numerous to mention in this blog post, but they all emanate from the four basic problems cited above. The politics of bringing New York’s system into the 21st century will not be easy, but I know of no involved party, be it labor, business or even the legislature, that is happy with the current horrendoma. On the business side, both the PIANY (Professional Insurance Agents of New York) and the NFIB (National Federation of Independent Businesses) have been forthright in their constructive critique of the system. Labor has spoken out many times about the benefit inequities. Surely, in desperate times these groups, and others, can work together toward a common goal? Other states confronted with similarly difficult challenges to their worker’s compensation systems have paved the path, notably, Massachusetts, Pennsylvania, Indiana, Texas, Florida and California (although, in our opinion, the last two still need more work). What’s needed in New York is what was needed in those other states: political willpower, the commitment to do what’s right for all parties and a healthy dose of mutual respect and common sense. Oh, and somebody sitting at the head of the table making sure that everyone stays focused. Which brings us back to Governor Spitzer. Newly elected, he has political capital, a mandate for change and a reputation as someone who can get things done (any fellow who can stare down former AIG CEO Hank Greenberg has got to have a lot going for him). He’s already said that workers’ compensation will be a priority. How does he make good on that promise? We suggest that he needs to assemble a group of committed insiders and experienced outsider professionals who understand what has worked in other jurisdictions, charge them to come up with a plan to rebuild the system from the bottom up, give them the resources to do it and then hold them accountable to getting the job done within a year. It’s that important. It would certainly be interesting to be part of that project. In any event, we will continue to track New York’s progress, or lack of it, with considerable interest. Wyoming – In an extraordinary case, Les Butts, a coal miner with permanent spinal cord injuries, was recently awarded $9.46 million for the injuries he sustained while working on the job, and two of his managers – not his employer – are being held responsible for failing to provide a safe environment. While workers compensation is generally the exclusive remedy for any work-related injuries, several states allow some exceptions in cases of egregious disregard for safety or intentional misconduct. Wyoming is a state that has no such provisions – the rule of exclusivity is apparently ironclad. So while the original award recommended by the jury was for $22 million, the law holds that Thunder Basin Mine, the employer, is immune from any damages. However, that immunity does not extend to managers, so 18 percent of the blame was apportioned to the mine manager and 25 percent of the blame was apportioned to the safety manager, totaling $9.46 million. Apparently, a bill to extend immunity to managers and co-workers has been under recent scrutiny, but no action has been taken. Oregon – The state’s Senate Committee on Commerce approved a bill that would ensure workers comp coverage for seasonal and migrant farmworkers. Under the law, contractors would be required to provide proof of workers’ comp coverage in the form of a corporate surety bond before they could obtain or renew a license to operate in Oregon. The new law would put some teeth in enforcement efforts – the current law requires that farmworkers be covered bust requires no proof. New York – more oversight is needed to prevent premium fraud, according to two recent studies. According to the Fiscal Policy Institute, underpayments could be as high as $500 million to $1 billion a year, and according to Risk-Metrics Corp., underpayment might be as pervasive as involving between 25 percent and 30 percent of companies in New York. 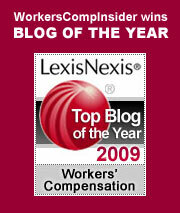 The issue of premium fraud in NY should come as no surprise to regular readers of Workers Comp Insider. Business & Industry Planning (PDF). In addition, OSHA has just issued a Guidance on Preparing Workplaces for an Influenza Pandemic(PDF). Also, the Department of Labor has issued Guidance on Preparing Workplaces for an Influenza Pandemic, which classifies some jobs according to risk levels and offers suggestions for making a disaster plan. For another good resource, see Marsh’s Avian Flu, Preparing for a Pandemic (PDF), a report released in 2006 which discusses the pandemic risk and offers businesses some lessons learned from the SARS outbreak, as well as addressing steps to ensure business continuity. While many think that the talk of a pandemic is alarmist, history shows otherwise. Pandemics occur about 2 to 3 times each century, it is just a question of severity. With more than 50 million deaths worldwide, the 1918 Spanish influenza was the most severe pandemic in the last century. There were two lesser pandemics in 1957 and 1968. Currently, Avian Flu – also known as Bird Flu and H5N1 – is being carefully monitored by world health organizations. WHO’s avian influenza website, which offers news and links to other resources, records 116 cases and 80 deaths in 2006, and 10 recorded cases and 8 deaths in 2007. So far, it is thought that most cases have resulted from human exposure to infected birds. Health officials monitor closely for signs of human-to-human transmission, because that would result in an marked acceleration of cases. In the 1918 outbreak, air travel was not as pervasive as it is today, a factor that would heighten the risk for rapid transmission across the globe. Planning for bird flu may not be on the radar screen for many employers, yet we would make the case that planning for business continuity in the face of a disaster should be a part of every business plan. Hurricane Katrina, SARS and 9-11 – not to mention more run-of-the-mill events like hurricanes, tornadoes, and fires – all demonstrate the wisdom of advance planning for business continuity issues. Establishing a communication plan in advance, identifying and planning for work force issues that would need to be addressed, planning for maintenance of critical functions if operations had to be scaled back, and developing a crisis management team are sensible steps to take. With any luck, the bird flu threat will pass us by this year as it has in other years, but over the longer term, the pandemic odds are against us. Note: for a detailed summary of “exclusive remedy,” check out our posting from last year. SuperSaver is hosting the Valentine’s Day edition of Cavalcade of Risk with more than 20 entries posted. SuperSaver points out how Valentine’s Day is a risky day in its own right. And speaking of Valentine’s Day, if you love those little candy hearts like the one you see in this post, you can make your own a the Acme Heart Generator. Part of the purpose of the Carnivals is to get exposed to new blogs. SuperSaver is a blog devoted to building wealth. It convers “wealth, riches, prosperity, and affluence. Knowing what wealth is (and isn’t), getting wealth, and keeping enough wealth for a comfortable retirement.” If you aspire to wealth, there’s some good reading there – check it out! I just returned from two days working with independent agents in West Virginia. They are boning up on NCCI’s complex experience rating model, in preparation for a radically transformed marketplace. Long a monopolistic state, West Virginia is half way toward becoming a competitive market. Under the transition, Brickstreet Insurance, a creation of the legislature (and spin off of the monopolistic operation), will manage the entire system until July 2008. At that time, the competitive market opens for business. Given the state’s huge unfunded liability for comp claims (just under $3B), given years of operation under an inefficient state bureaucracy, this transition is not going to be easy. West Virginia has developed a true “culture of disability” – where one in seventy lost time claims turns into permanent and total disability (the next closest state comes in at a rate of one in 220). Thus the transition is not just from monopoly to competition. It involves transformation of a culture from disability entitlement to a priority on return to work. For the first time, it involves the mobilization of the independent agent network: agents never really had a role in the state’s monopolistic comp system. Suddenly, they have a crucial role to play in guiding their clients through the bewildering choices of an open market. Agents will soon find themselves advising clients in a line of insurance long off the radar screen. They have a lot to learn and not a whole lot of time to learn it. Injured employees bear the brunt of the cost savings. Benefits, traditionally very generous, have been cut. Weekly indemnity rates have been lowered and the duration of temporary total disability has been cut in half (to two years). The system will rely less upon permanent total awards. In addition, those awarded permanent total benefits will have to undergo periodic independent medical exams to determine fitness for work. Over time, employers are also going to pay, in the form of higher premiums. To be sure, NCCI has announced a reduction in rates. That’s good public relations. But we know that, historically, the premiums have fallen substantially below the benefits paid (hence the humongous deficit). Claims have been significantly under-reserved. Going forward, in a fully accountable and truly competitive system, it’s “pay as you go” – and that means employers with high losses are eventually going to see substantially higher costs. In addition, industries that have been subsidized for political reasons will now pay their own way. Their costs are going up immediately. There are about 36,000 businesses covered by workers comp in West Virginia. Up until now their premiums were the result of an idiosyncratic and not very effective experience rating model, combined with completely inadequate claims reserving practices. There was very little accountability in the old system. The new system operates under NCCI’s exacting rules, which are tough, fair and proven. However, it may take as long as five years for the NCCI system to really take root. Because there are inadequate claims reserves for the rating years between 2003 and 2006, the experience mods generated from now until 2011 are going to lack full credibility. Indeed, because the reserves understate ultimate losses, experience mods for 2007 through 2010 will be artifically low. As the temporary guardian of the entire system, Brickstreet faces enormous challenges. They have to ramp up to serve 36,000 employers, even though the ramp up will build excess capacity that is needed only for a year or so. At the same time, Bricksteet has to build a lean and efficient delivery system for key insurance operations: claims, loss control and underwriting. Over the next 18 months, they face relentless pressures of both quantity and quality. How much business can Brickstreet manage effectively? What should their market share be? While it’s natural for Brickstreet to want to hold onto as much of the market as possible, that’s not necessarily what is best for West Virginia. In a healthy, competitive marketplace, Brickstreet’s share would probably be less than half the employers and half the total premium. If Brickstreet garners much more than that, the state could well drift toward “monopoly” by another name. The good folks at Brickstreet and the hundreds of eager independent agents in the state now stand at the beginning of the yellow brick road. This is an exciting, but potentially overwhelming time. As with most roads in that beautiful, mountainous state, the yellow brick road winds back and forth on itself. Driving north, the road wends south, following the base of a mountain. If you’re in a hurry, you won’t get there. If you go too slow, opportunity may slip through your grasp. While West Virginia is finally on the road to a viable workers comp system, I’m not sure how long it will take to reach the Emerald City – where employees receive fair benefits and stay productive, where employers focus on risk management and pay a fair price for their insurance and where the tin man finally gets his brain. (Post script: Oops, tin man gets a heart. See reader comment below).